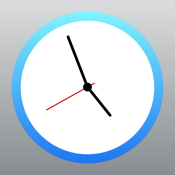 TimeStamps makes it easier to have a look at your working hours and overtime. No more guessing when you come to work or when you have gone on a business trip - from now on, your personal time sheet is always with you. TimeStamps offers a flextime account for overtimes. Including starting balance, correction factor for each week and Days of in Lieu to get rid of overtime. And in case you don't need a flextime account, it can be switched off in the settings. Specified in TimeStamps' settings of the default work week, the default break can be automatically deducted as the minimum break at the end of a day. If the break time is exceeded, of course, the larger value is taken. Whether the automatic pause is applied is shown by a symbol within TimeStamps. Each time stamp can be assigned a tag from a self-created list. Each tag can of course be changed later, hidden, modified in order or deleted. Coming soon is also a new type of export, who has the ability to choose specific tags. Using the backend, you can set work-free days - holidays, leave days, days of in lieu and sick days are an integral part of TimeStamps. On these days, you do not have to work, so there will be no default work and break time. However, TimeStamps does not prevent that you still record times. 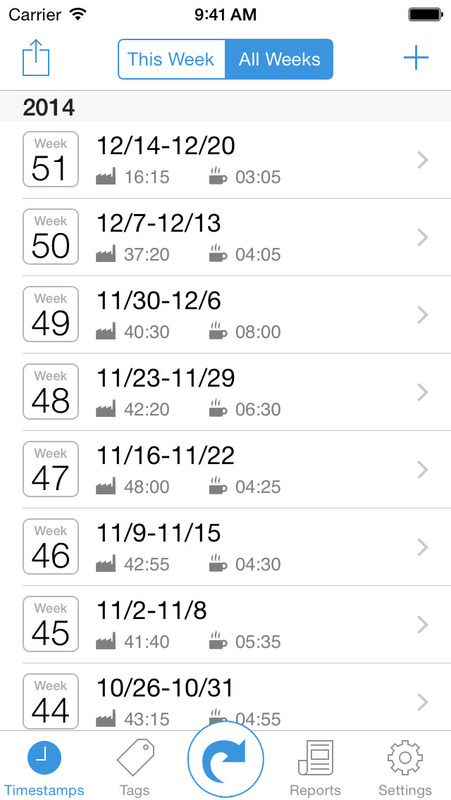 So you can still work on holidays or leave days and keep track of it with TimeStamps. Various reports can be created of all time stamps. You can specify any time period and send reports as HTML or CSV to one or more e-mail addresses. These report configurations can be reused later. Not everyone is working from nine to five, five days a week. So the work and break time for each day of a default work week is definable to the minute. Also working without a break is possible with a single click. The setting of default times can later be changed individually for each day. If you like TimeStamps, please tell your colleagues, friends and relatives! And we are always thankful for a a positive rating in the App Store.